This is one of those movies I can’t hate! It’s very Spielberg and a little bit cheesy, but at the same time, I know it’s trying to create a sense of innocence and a simple good old fashioned fairy tale that we just don’t see on screen anymore. And yes, I totally agree that the wire scene with the horse is very nicely done. I have been waiting for more vintage Spielberg. His ability to capture a child’s sense of wonder at the world is nothing sort of magical. In Spielberg films, people are always mesmerized by something amazing, something that takes the characters and our own breath away. And although I do not consider myself a “religious” person, but there is a profound comfort in the underlying idea that we are part of something greater than ourselves, where each of us is an integral part of that greater whole. Religion or no, I do believe in the essence of that notion. And Spielberg captures the magic of that for me. But he’s been missing in action for a while, trying to catch up with modern sensibilities (Minority Report) or become more “socially relevant” with historical dramas (Munich). But War Horse was a return to form for him, albeit not an entirely successful one. 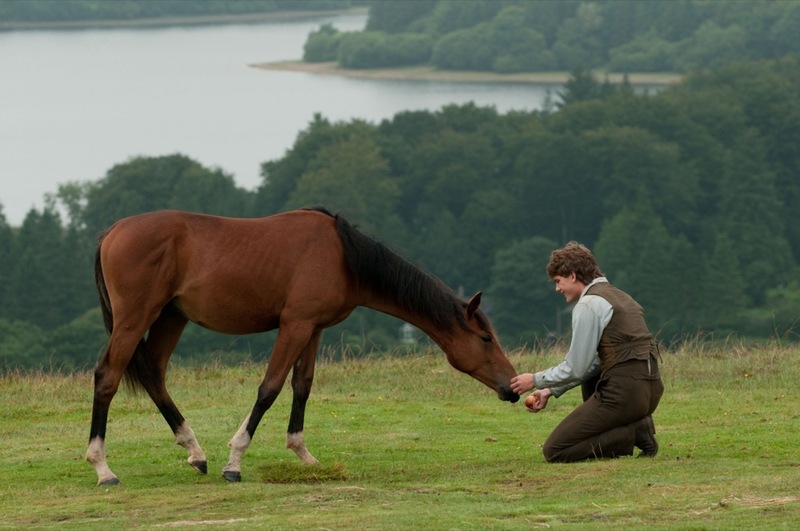 I thought many of the performances were insincere, and it was hard to care about anybody except the horse. But there is something to be said for pure cinematic craftsmanship, and War Horse certainly had that. I think the most impressive and moving sequence, for me, was Joey’s run through no-mans land, with the barbed wire digging itself into his hide. The sequence begins so triumphantly, with such exhilaration, that the visceral impact of the end is so profoundly awful! I thought that scene was top-notch filmmaking. I absolutely agree on every single point… Including the fact that the sequence with the barb wire is the best of the movie.